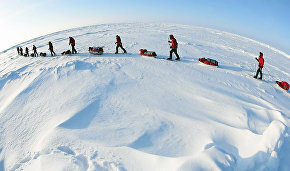 Members of the Polyus (Pole) team, who in April will head to the North Pole on skis, will learn how to ford ice holes at the search and rescue station in Strogino, a district located on the right bank of the Moskva River in northwestern Moscow. During the Great Arctic Expedition, seven Moscow school students will trek roughly 100 km on skis guided by polar traveler Matvei Shparo. 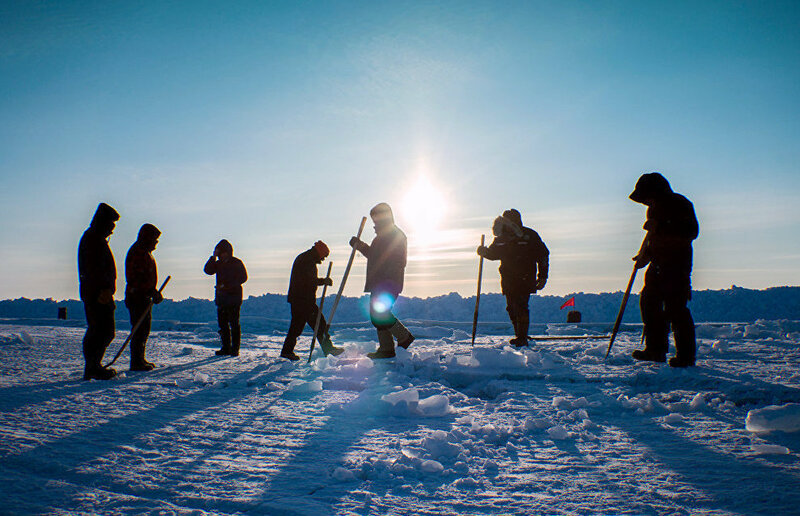 They will travel across the ice of the Arctic Ocean, so the members will have to master the skill of overcoming polynyas, or naturally occurring holes in the sea ice. The ice coating the backwater in Strogino is currently more than 20 cm thick, and rescuers at the station have already made lanes for the training. The water training, which will be held on April 4, will be the final stage of the team's preparations for the start to the Arctic. "Wearing special wetsuits, the kids will have to master the skill of overcoming water obstacles that they may encounter on the route. Both the technical component, including how to swim properly and how to transport cargo over ice holes, and the psychological readiness of the kids to take the first step into the ocean are important," the organizers of the expedition said. The special wetsuits, or drysuits, are designed to reduce the impact of water on the human body and to provide thermal insulation and protection from possible harm in the Arctic Ocean.